I made up this exercise myself when I was testing out different push-ups to add to my chest workout. 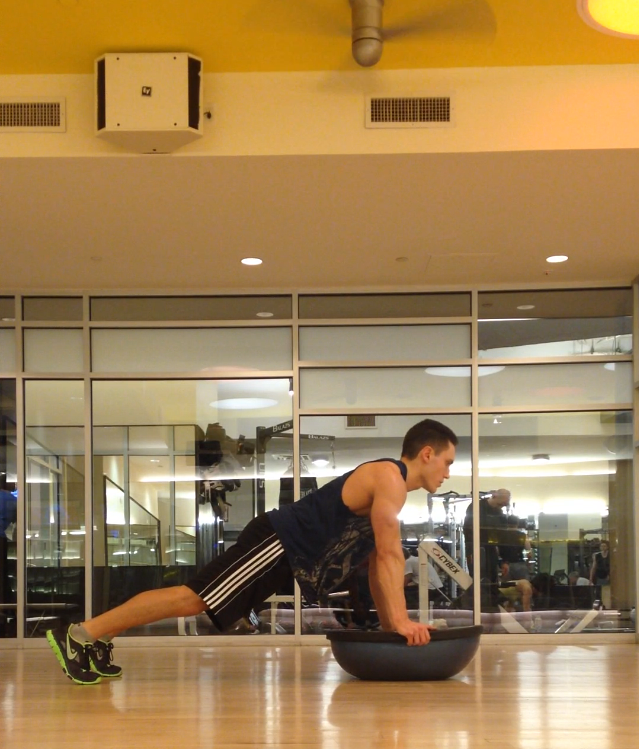 While messing around, I put together this push-up combination that destroys your pecs after a great chest day. 1. Get two Dumbbells and place them slightly wider than shoulder width apart on the ground with one plate of each dumbbell flat on the ground leaving the other plate flat-side up. 2. Start in a push-up position with your legs slightly apart and both hands on the left dumbbell. 3. Do a push-up with both hands on the left dumbbell, then a push-up with your left hand on the left dumbbell and right hand on the ground, then a push-up with your left hand on the left dumbbell and right hand on the right dumbbell. 4. Do a push-up with your left hand on the ground and your right hand on the right dumbbell, then finish with a push-up with both hands on the right dumbbell. 5. 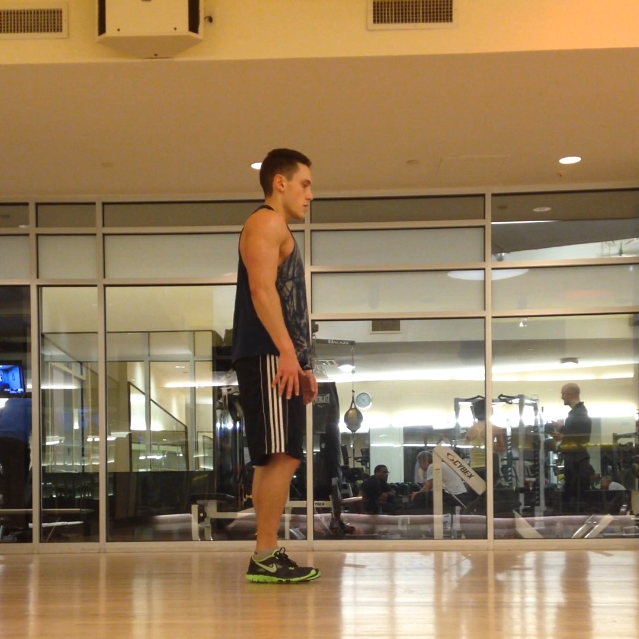 Reverse the pattern you just did to return back to having both hands on the left dumbbell. To do so, do a push-up with your right hand on the right dumbbell and your left hand on the ground, then a push-up with your right hand on the right dumbbell and left hand on the left dumbbell, and then one more push-up with your left hand on the left dumbbell and your right hand on the ground. 6. You should now be back at the starting position with both hands on the left dumbbell. Repeat the full pattern (steps 3-5) for the allotted amount of reps.
-> CLICK HERE AND WATCH ANOTHER VIDEO TO BETTER UNDERSTAND THE FORM AND PATTERN NEEDED TO PERFORM THIS EXERCISE CORRECTLY. 2. One full pattern of this exercise has 8 push-ups in it. 2 close hand push-ups, 2 wide push-ups, and 4 uneven push-ups. When doing this exercise I like to so 2 full patterns (16 push-ups) and then I take a minute to rest. I will do about 4 sets. 3. Make sure to keep a strong core when performing this exercise! Arching your back will compromise form and cause you to target the incorrect muscles. 4. 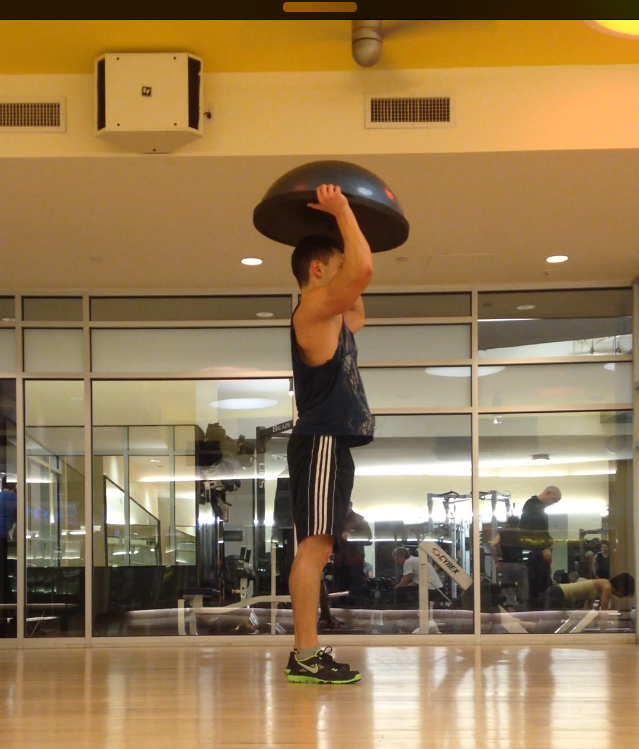 To modify this exercise, you can use a shorter surface, such as an aerobic stepper or even a book. 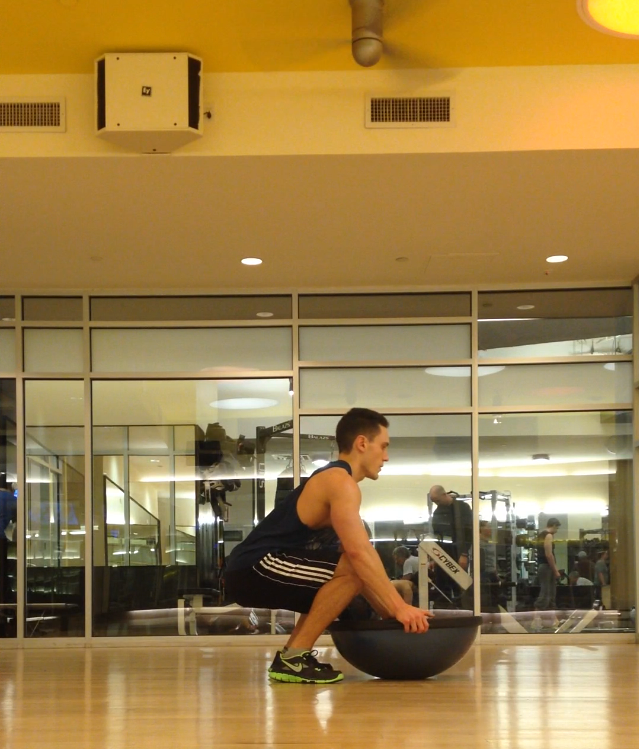 This exercise can also be done on your knees if using a shorter surface is still too difficult. 5. Focus on using your chest to do the push-up. 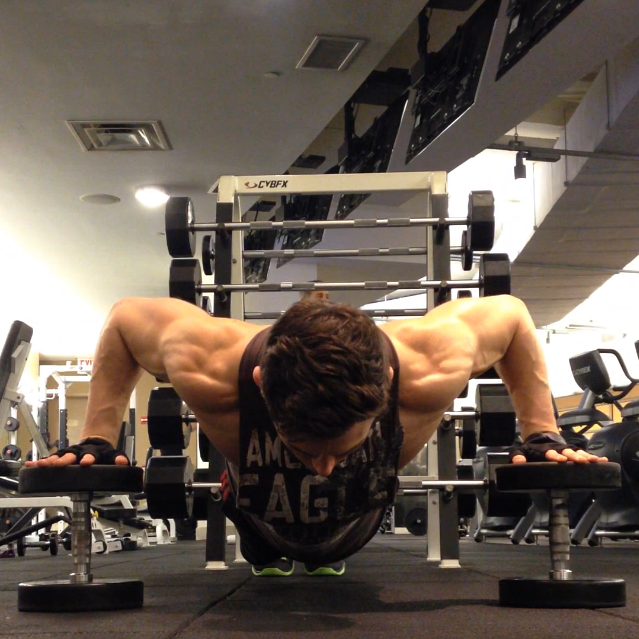 Your pecs should be the primary muscle used in this exercise and will start to fatigue quickly. Your other muscles will naturally start to compensate, but really try and focus on using your pecs for most of the work. 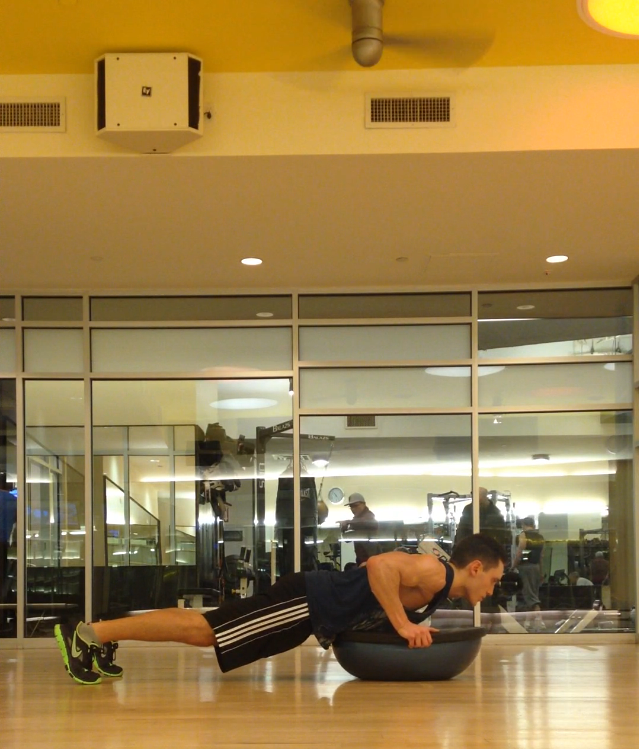 Are you ready to try this push-up combination? 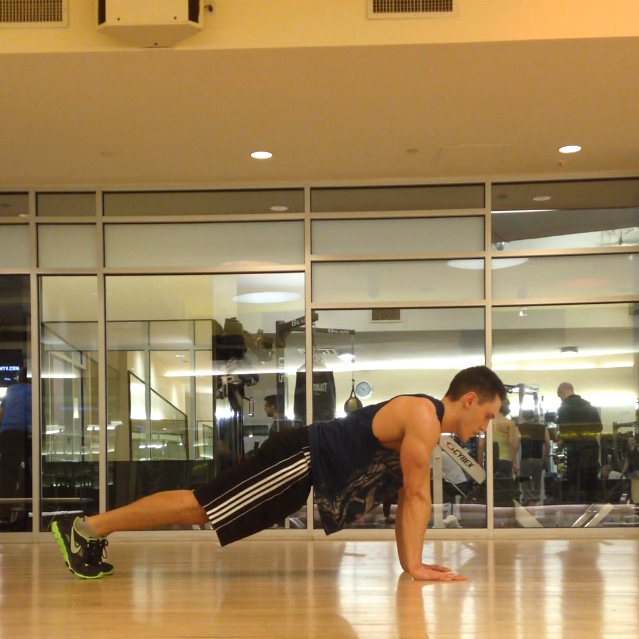 Do you have any push-up variations that you like to add to your workout? Let me know and contact me at corestrengthalec@gmail.com with any questions, comments, or ideas for other topics. I was recently asked to post more exercises that really target your chest. In the past few months, I started adding more pushup variations into my workouts and have noticed a significant change in the strength and size of my pecs. 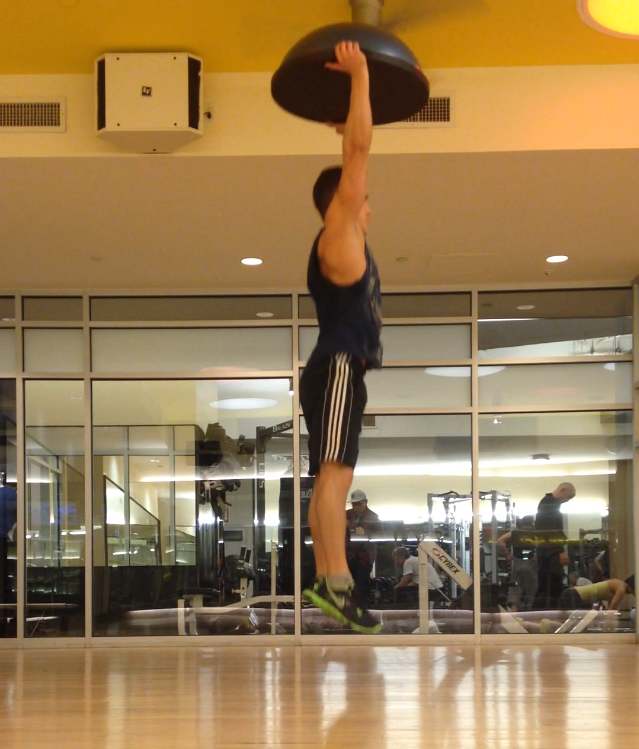 This exercise destroys my chest at the end of a great workout. Explosive Pushups with Dumbbells test your upper body strength and allow you to use all areas of your chest in one exercise. 4. As you push up, lift your hands off the dumbbells. Now your feet should be the only part of your body touching the floor. 7. 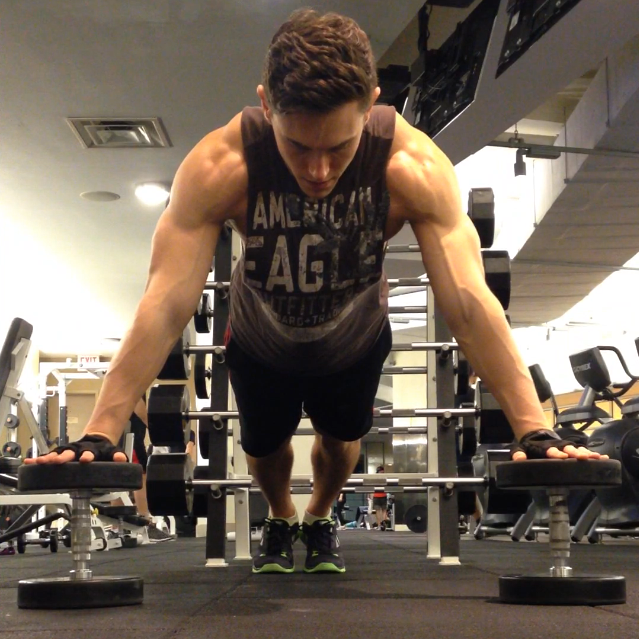 As you push up away from the floor, lift you hands off the floor and try to place them back on top of the dumbbells. 8. End in a raised plank position with a slight bend in your elbows, your feet on the floor and one hand on each dumbbell. 9. Repeat steps 3-8 for the allotted amount of reps.
Click Here to watch a short video to see an example of Explosive Pushup with Dumbbells. 1. Do not arch your back. During the explosive motion you may want to arch your back to get your chest higher and get your body higher off the ground. By keeping your body straight, it may seem harder, but you will activate and train the correct muscles. 2. If you are feeling sharp pains in your wrist or elbows, stop the exercise. This exercise can have a high impact on your joints in your arms, especially if your form is not correct. You do not want to cause any damage. 3. You can place your feet together, shoulder width apart, or wide. The closer your legs are together, the harder your core will work to stabilize your body. 4. If you do not have dumbbells, you can use other surfaces like a small boxes, steppers, or anything else you can think of as long as the surfaces are the same height. 5. I try to do 5 sets of 5-10 reps with a 60 second break in between each set. If this is the last exercise I do of the day, I do as many reps as possible until I reach failure. 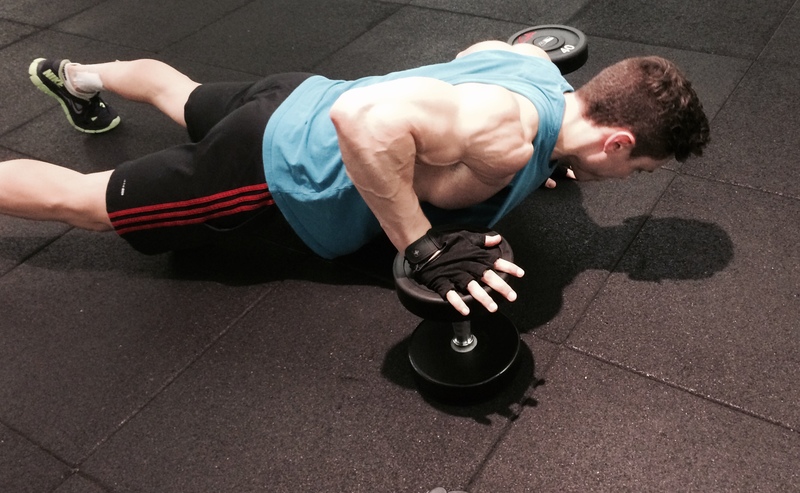 Have you ever tried Explosive Pushups with Dumbbells? 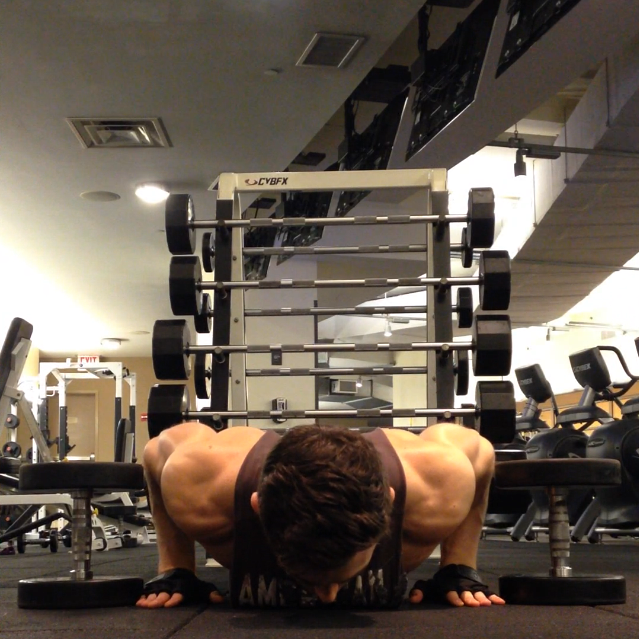 Are there any other variations of pushups that you like to do? Contact me with corestrengthalec@gmail.com with questions, comments, or ideas for other topics. Once you have mastered the regular Shoulder Pushup, it is now time to increase the difficulty. 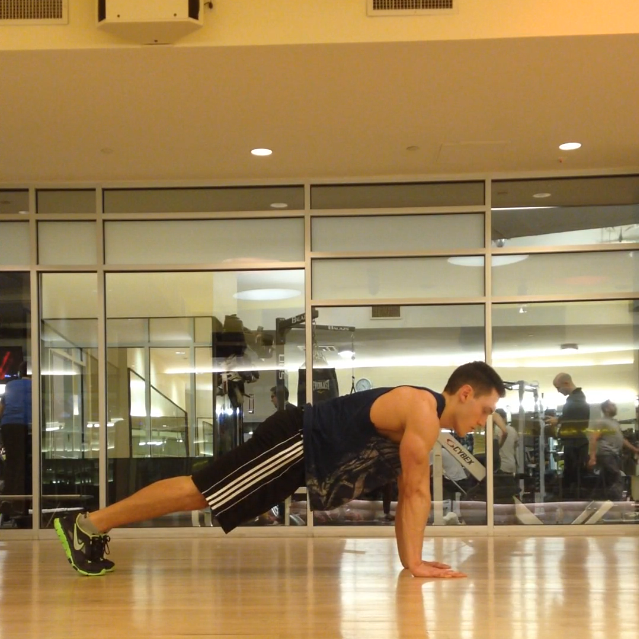 These Raised Shoulder Pushups are the second step in the progression toward achieving handstand pushups. This exercise will help activate and strengthen the muscles in your back, shoulders, arms and core that you need to perform the more difficult handstand pushup. 1. While facing the forward, start by putting your hand on the ground and legs up on a raised surface behind you(bench or table). 2. Straighten your legs and straighten your back to create and ‘L’ Shape with your body. You will need to activate your core to hold this position. 3. Bend at the elbows and lower so your head is just above the floor. 4. Push back up to straighten your arms and return to the ‘L’ position. 5. 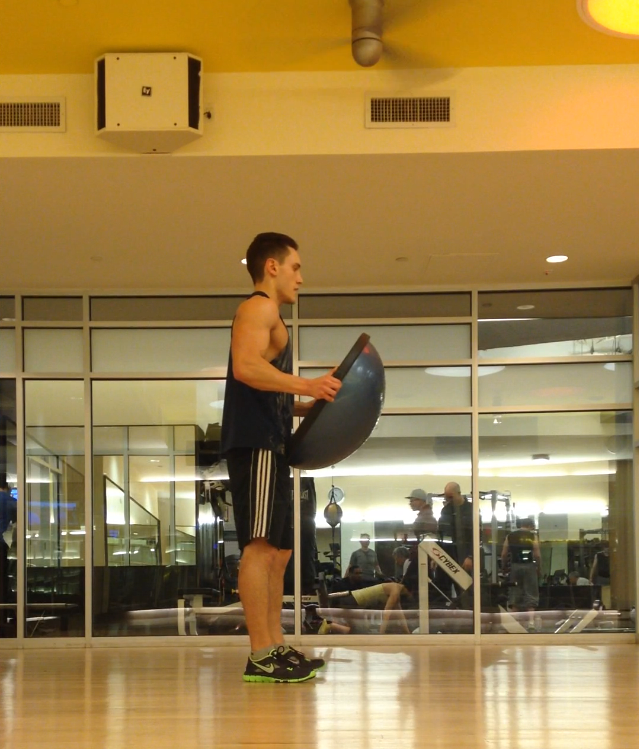 Repeat Steps 3 and 4 for the allotted amount of reps.
1. If you have not tried regular shoulder pushups prior to this exercise, please Click Here to see how to perform a shoulder pushup. 2. Keep your back and legs straight to activate your shoulders, core and lats correctly. 3. Really use your core to keep the ‘L” shape in your body. Do not let your hips droop. 4. The tall the surface the harder the exercise is, so try starting with something that is only a few inches off the ground first and then work your way up to a taller surface such as a table. 5. Keep your neck in line with your spine. Don’t lift your head to look at the floor. That will cause unnecessary tension. Have you tried Raised Shoulder Pushups? 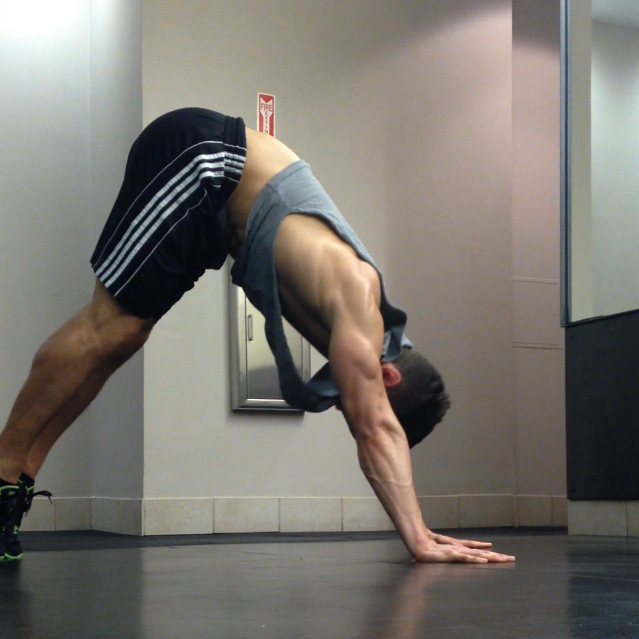 Are you working on getting handstand pushups? Contact me at corestrengthalec@gmail.com with questions, comments, stories, or ideas for other topics. 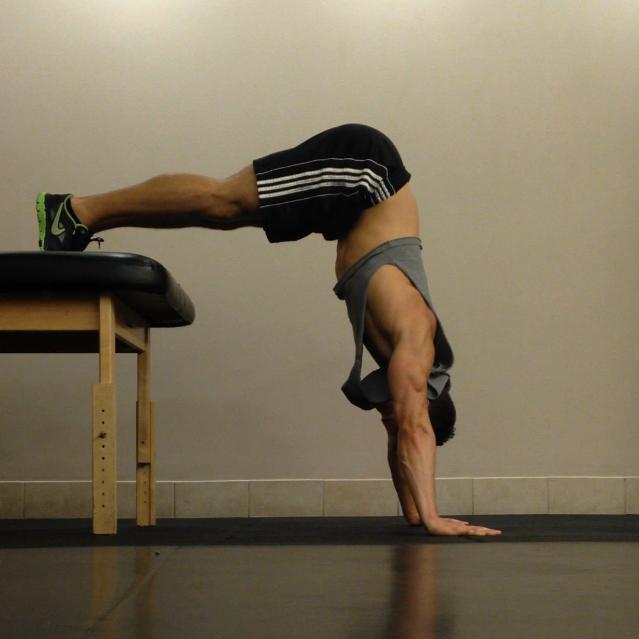 This is the first step in the progression toward achieving Handstand Pushups. To achieve a Handstand Pushup, you must have great shoulder, back, and tricep strength, but also a good core strength to maintain your balance while on your hands. 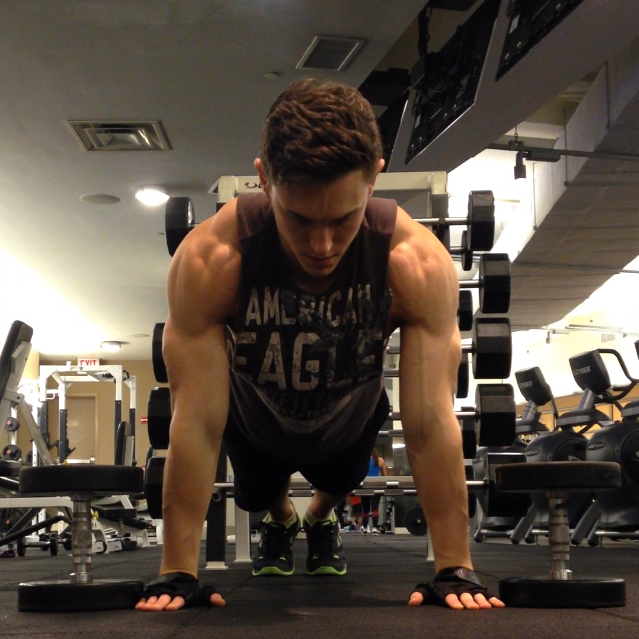 Shoulder Pushups are an excellent way to start strengthening these muscles. 2. 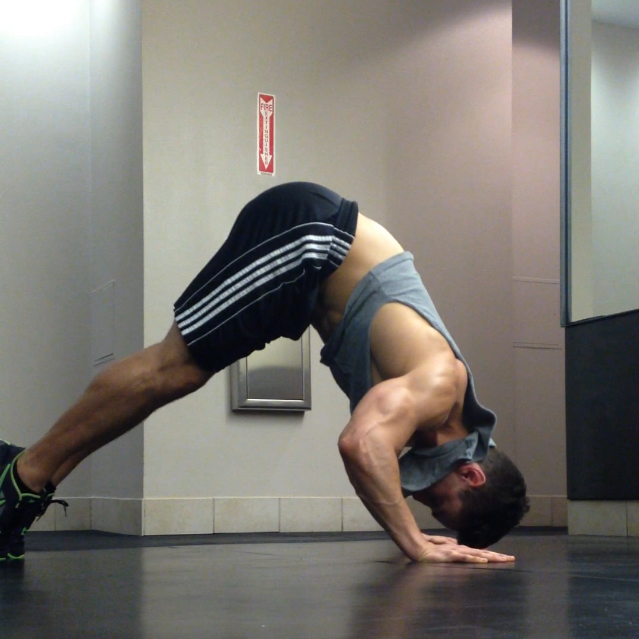 Walk your hands back and lift your hips toward the ceiling to create an upside down ‘V’ position with your body. Keep your legs and back as straight as possible and stay up on your toes. 4. Push back up to return to the V position. 1. 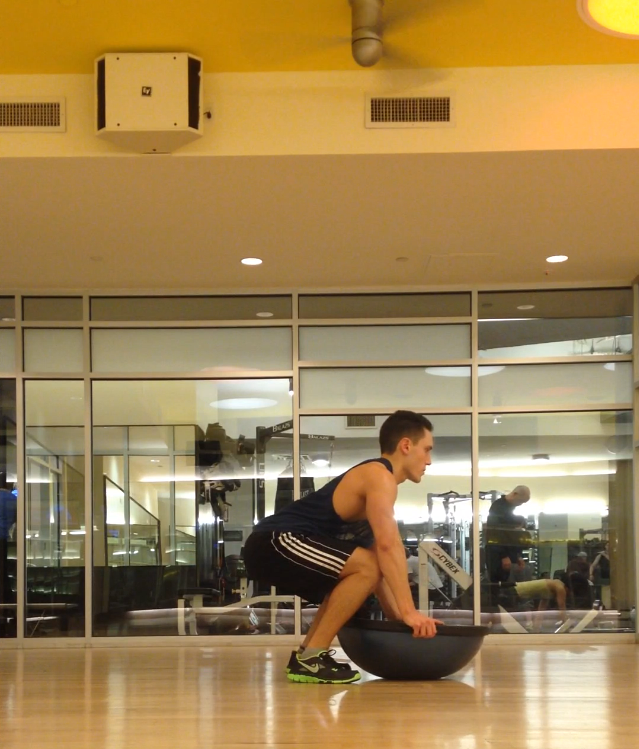 Keeping your back and legs straight will help engage the proper muscles during this exercise. Most of the work should be done by your shoulders, however you will also feel your lats activating if done correctly. 2. Focus on keeping your hips up toward the ceiling. Don’t let them droop! 3. Keep your neck in line with your spine. Don’t lift your head to look at the floor. That will cause unnecessary tension. 4. Try doing 3 sets of 10 reps at first and build your way up to 3 sets of 20 reps. Once you can do 3 sets of 20 reps, increase the difficulty by trying Elevated Shoulder Pushups (Put your legs on a bench or table). 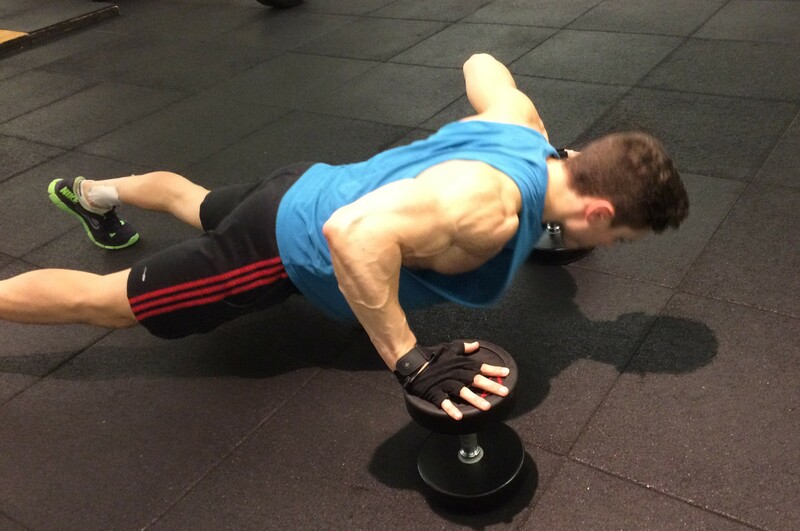 Have you tried Shoulder Pushups? 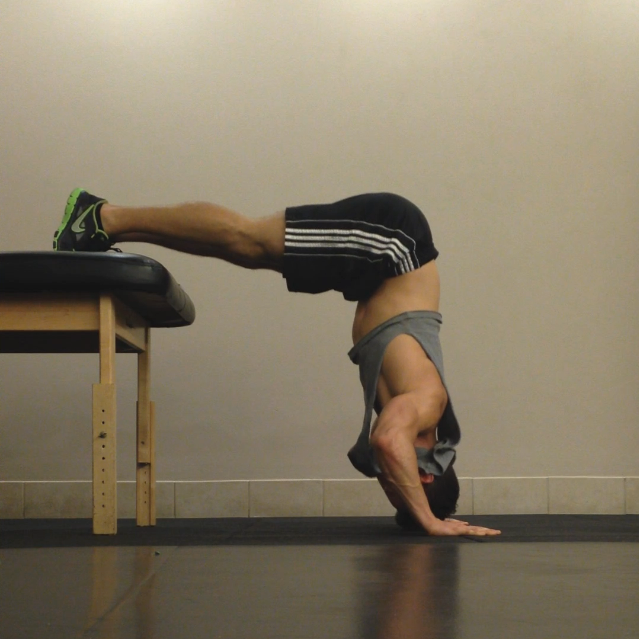 Are you working on getting handstand pushups? Contact me at corestrengthalec@gmail.com with questions, comments, stories, or ideas for other topics. How to do a Burpee! BURPEES! You love them and you hate them. Burpees are an amazing cardio workout and work many of your major muscle groups. Burpees are one of the best full body workouts you can do in your exercise routine, however it is also easy to do a burpee incorrectly, making the exercise not as effective. 2. Squat down and place your hands on the ground. 3. Jump your feet back to put yourself in a plank position. 5. 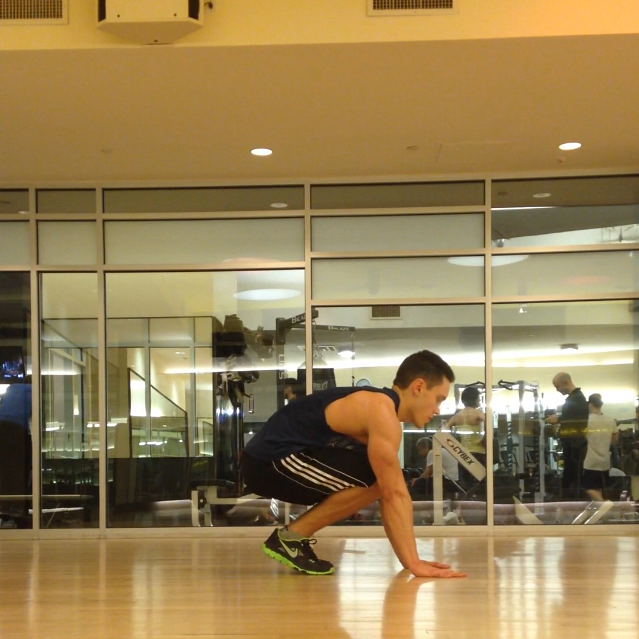 Jump up straight off the floor from the squat position. There are many variations of Burpees. The most common variation is the Burpee Pushup where one pushup is done while in the plank position. (Between steps #3 and #4 of the Basic Burpee instructions, do a pushup). 1. 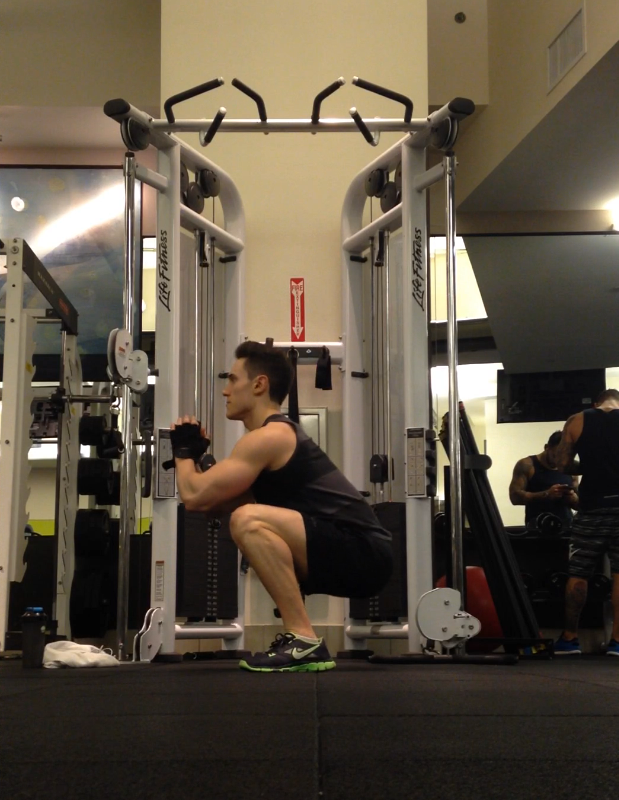 When squatting down, try and get your glutes low to the floor. This will make the exercise seem harder, but that is because you are activating most of the muscles in your legs from your quads, to your glutes and hamstrings. This muscle activation will help tone your legs more effectively. 2. While in the plank position, make sure to keep your body completely flat and activate your core. 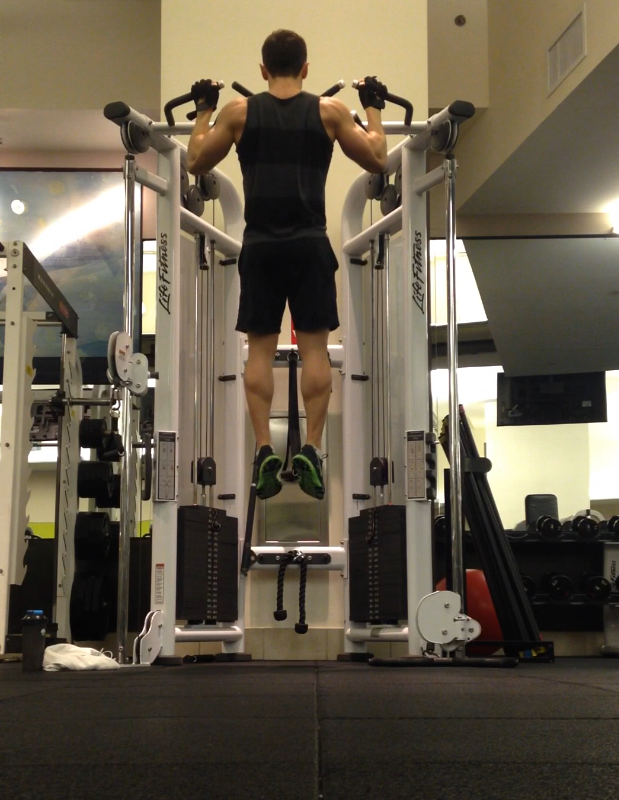 It is very easy to raise you hips and glutes up toward the ceiling. 3. 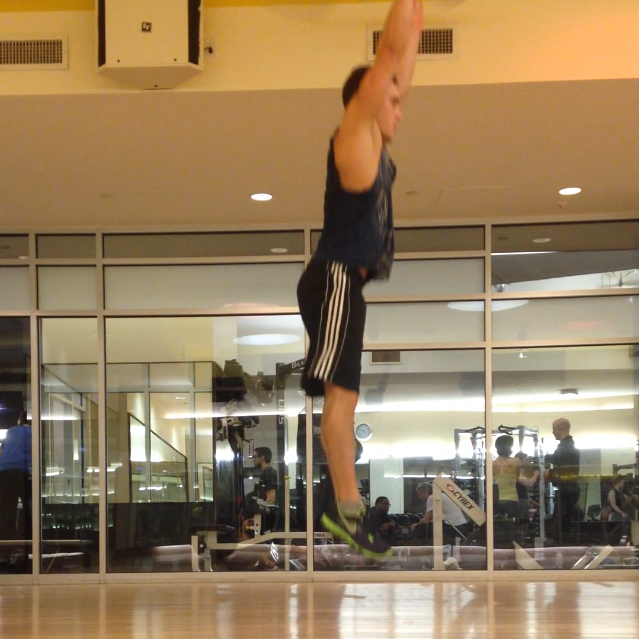 When jumping during this exercise, and in any other exercise, land with bent knees. If you jump and land with your legs completely straight, you will put too much pressure on your knees and lead to injuries in the future. 4. Burpees can be done as a FT workout (For Time) or AMRAP workout (As Many Reps As Possible). If you do a FT workout, give yourself a certain number of burpees to do and see how much time it takes you to complete the workout. If you choose to do an AMRAP workout, give yourself an amount of time, usually a minute or two, and see how many burpees you can do in the time allotted. Do you include Burpees into your workout? Do you have any variations that you would like to share? Contact me at corestrengthalec@gmail.com for any questions, comments, or ideas for new topics.